BRYAN EATON/Staff Photo. 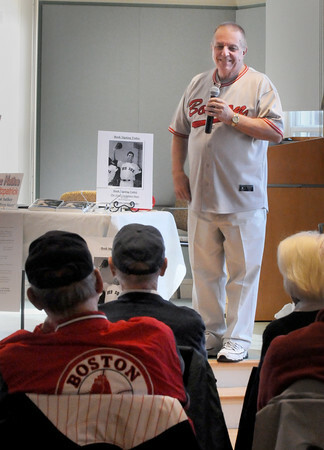 Bruce Fitzpatrick, author of "The Tony Conigliaro Story" who was signed by the Boston Red Sox in 1962. spoke to a packed house at the Newburyport Senior Center on Wednesday afternoon. After his talk people were able to get his book autographed and look over an extensive memorabilia collection.